For full details, simply click on the links above or use the Our Services menu. 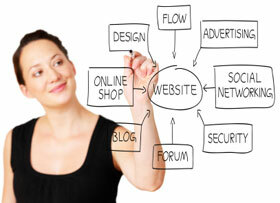 Web Design in High Wycombe, Bucks (Buckinghamshire). Based in High Wycombe, Buckinghamshire, we offer high quality creative graphic design, web design and internet marketing services (including Search Engine Optimisation or SEO). Please take a look at our Services pages and do also take a look at our online portfolio, we have many customers who are delighted with our services. We welcome any kind of enquiry and invite you to pick up the phone if you have any questions about the services we offer. There are many web design agencies out there so what makes us different? We do so much more than create attractive websites that operate efficiently. We will understand your business, consult with you on your website goals, review your branding, discuss your requirements and then propose a solution. Our solution will add value to your business, it will be perfectly aligned with your business objectives. Amersham, Aylesbury, Beaconsfield, Hemel Hempstead, High Wycombe, Luton, Marlow, Maidenhead, Milton Keynes, Oxford, Reading, Slough, Uxbridge and Watford.